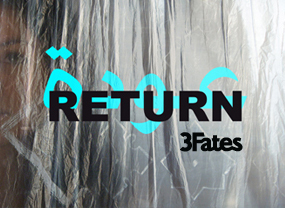 3Fates is a collaboration between Poonam Brah, Alice Hoult and Dina Mousawi. Over the past five years we have worked to build an ensemble of artists and body of work that reflects our voices - diverse, female and globally inspired. We began the company as an investigation into performance and collaboration, breaking down the traditional roles of theatre makers to immerse every member of our company in the creation of a production. We utilise research and collaborative writing processes to author original work in the room and build and test our pieces to a live audience through multiple work-in-progress showings. We aim to bring daily experience into the work we create, giving theatrical value to the everyday and sharing it with our audience. 3Fates’ work is bold and ambitious in terms of layers of content and ideas, cast size, innovative design and a focus on visual language – all made with minimal amount of resources. This approach has enabled us to distil our theatre making to its essence where everything becomes loaded with meaning. We have been able to build a signature company style - a raw, direct and poetic approach to staging and presenting our material. To date our work includes Dark River, based on personal stories, myth and song about the Thames. Developed at Hightide Genesis Lab and Rich Mix, April 2015. To Close Your Eyes Is To Travel, a live art happening inspired by artists Meredith Monk, Chauncy Hare, Emily Dickinson and the theme of protest. Initiated on a Copeland Fellowship 2012 at Amherst University, USA later performed at The Yard Theatre, London in 2013. Return, showcased at Soho Theatre, The Yard Theatre 2012, Liverpool Arab Arts Festival 2013, Tara Arts Theatre, Al Balad Theatre Amman, Jordan 2013 and Rich Mix 2014.